Why might you call for heat pump repair? There are a number of reasons – air that’s not warm or cool enough, rising utility bills, or a complete system breakdown. Don’t sweat it when your heat pump needs repair. Bring in the experts at G&M for quick, quality heat pump repair. Heat pumps regulate your indoor temperature, and an efficient one will keep you and your family comfortable all year long. Most importantly, a heat pump makes your home more energy efficient. But if your heat pump is in need of repair, you are missing out on all these features and paying for them in more ways than one. Heat pumps draw heat from the surrounding air. They tend to work great in areas like Raleigh that typically have moderate winters and hot summers. The money you can save over time with the energy efficiency of a heat pump pays off. The more time that passes, the more your savings add up. A heat pump in need of repair is wasting your time and hard-earned money. 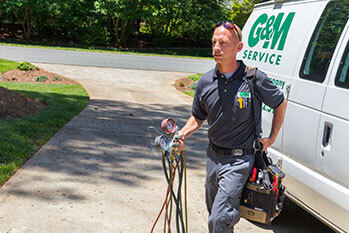 Call a G&M technician today and get information about all the operational benefits of regular maintenance, preventative checkups, and repair options. Our experts are industry trained in heat pump repair and have experience solving a variety of problems. If your heat pump is malfunctioning, contact a specialist at G&M Service. Act now before too much time makes the problem worse. 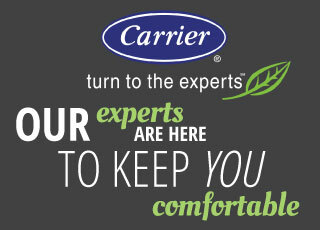 Contact G&M today at 919-772-8820 and learn more about energy efficiency with heat pump repair.